March 21, 2017 --- Today, Intertec announces a unique inspection door for outdoor equipment protection enclosures. The new GRP Inspection Door comes with a window frame made entirely from GRP (glass reinforced polyester) - a material offering a very high degree of protection against corrosion combined with excellent thermal insulation. 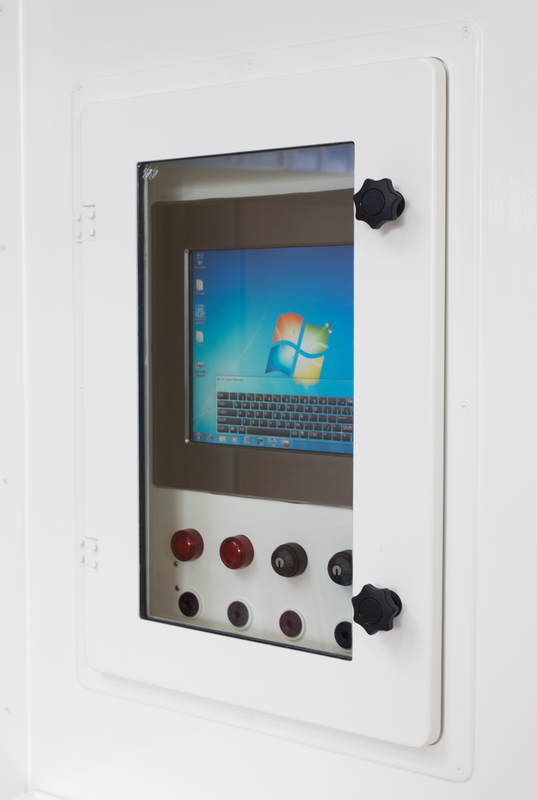 The design offers a more durable alternative to the conventional aluminium or stainless steel window frames commonly used for field equipment in harsh environments, helping to extend the lifecycles of business-critical process control and instrumentation equipment. Doors are available with either IP54 or IP65 ingress protection ratings. 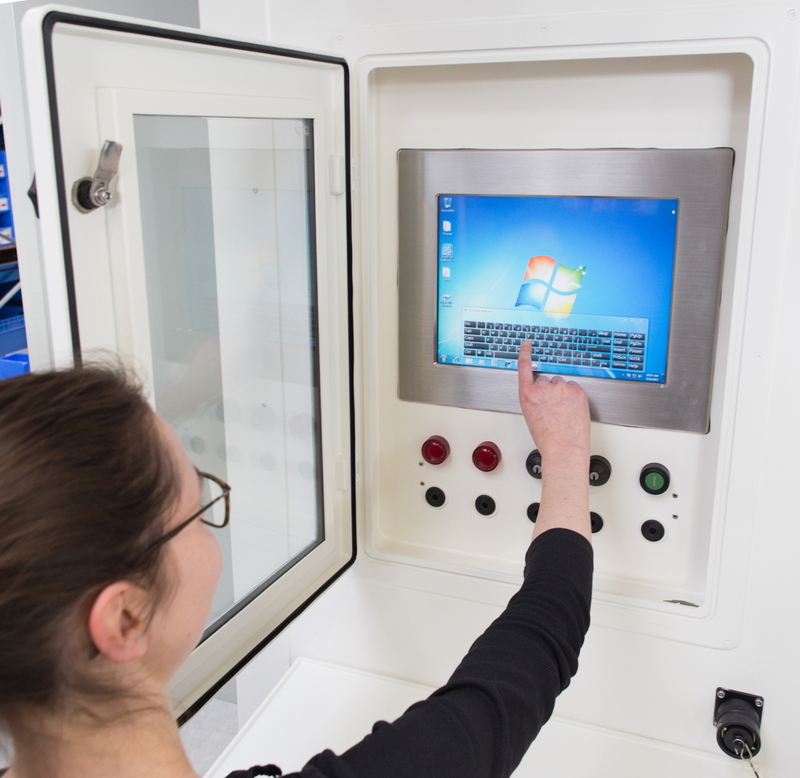 Intertec's GRP inspection doors are ideal for enclosures and cabinets containing control and instrumentation equipment fitted with user interfaces, indicators and displays. This embraces a broad range of commonly-used field equipment including process transmitters and PLCs. A lot of this type of equipment is increasingly being located deeper inside the processing areas of a plant, where environments can expose the equipment to harsh and corrosive atmospheres. GRP is an inherently inert material that is virtually immune to corrosion and atmospheric pollutants. It does not rust or degrade in any meaningful way, and is resistant to a wide range of chemicals. The GRP sheet material used in the door's construction also provides excellent thermal insulation for field equipment requiring heating or cooling. GRP's thermal conductivity is around 5,000 times less than aluminium and 1,000 times less than steel - alternative materials widely used for window frames in this application. This helps to eliminate 'thermal short cuts' between interior and exterior, which can lead to cold spots and condensation problems. In its basic form, these properties make GRP a superb material for robust outdoor enclosures - allowing maintenance-free lifecycles of 30 years and more. Two variants of the new GRP inspection door are available with window frames measuring approximately 50x35 or 67x47 cm (19.7x13.8 or 26.4x18.5 inches). Intertec can fit these frames with acrylic, safety glass or insulated glass panels to suit the application. Options include an insulated glass panel filled with Argon - which has a significantly lower thermal conductivity than air. The U-value of the Argon-filled panel is 1.7 W/m²K. The inner glass pane of this unit also features a heat-reflecting coating offering a g-value of 50% to reduce the impact of solar energy heat transmittance (untreated insulating glass has a g-value of around 90%). 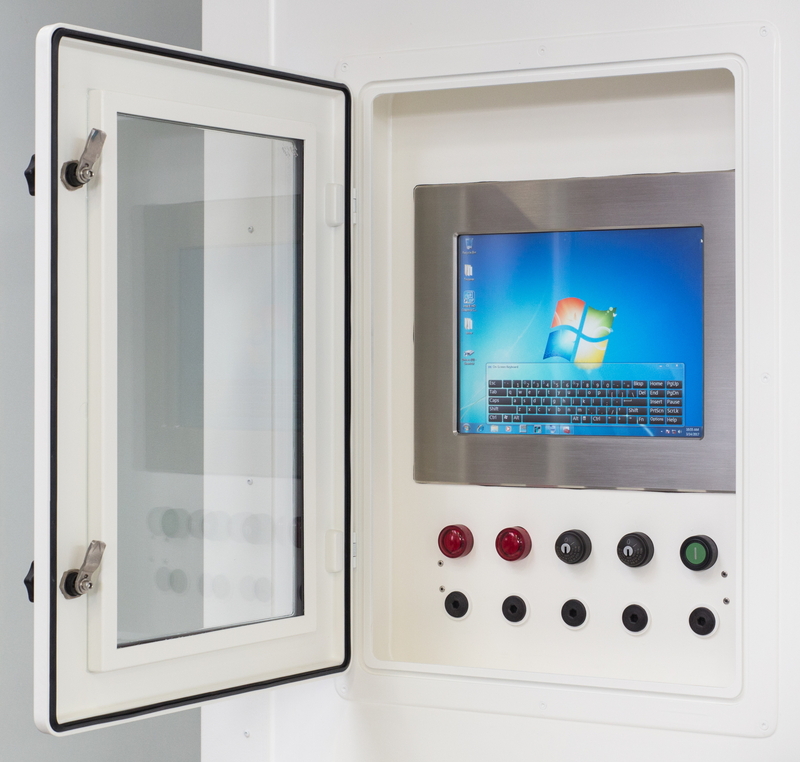 Intertec's GRP inspection door for outdoor enclosures combines superior protection against corrosion with excellent thermal insulation - providing long-lifecycle solutions for control and instrumentation equipment fitted with user interfaces and indicators.